John Vlemmix (Jovel, Jovlem), another member from LOWLUG, published a gorgeous video from his not less awesome latest supercar. The Black Dragon. Scissor doors with dumped shocks. 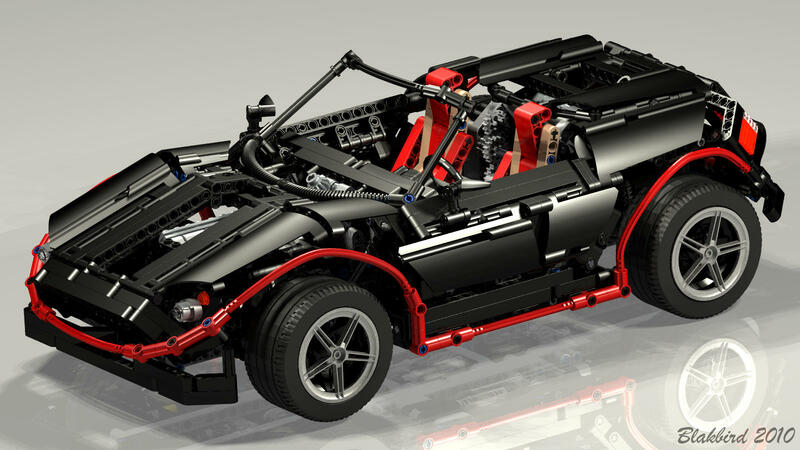 This is a totally unconventional LEGO Technic car, which exploits some different approaches to achieve the body form. Namely the extensive use of angle-connectors which confer its very unique forms. 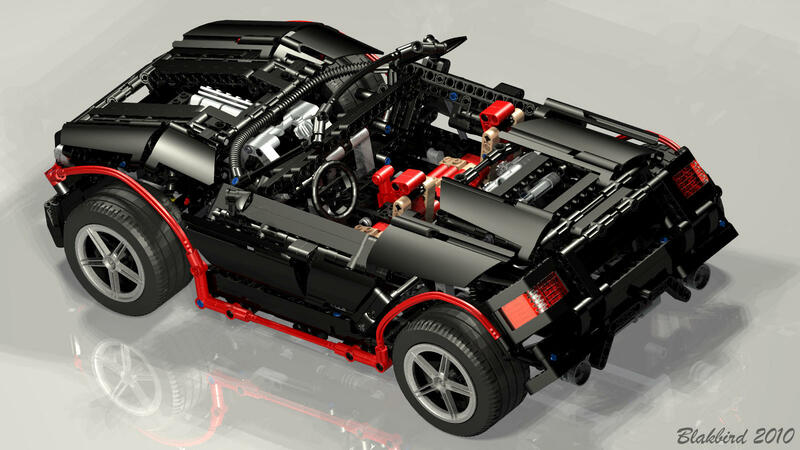 Realize this car uses the old Technic black panels in a way, we probably haven't imagined possible anymore. The red contour line is also very eye-catching and distinctive, but this car has lot of other supreme design details: curved windshield topline, distinct and innovative gearbox lever design, incredibly achieved doors design and also very well done tail lights (color, form and tilt), just to mention a few. 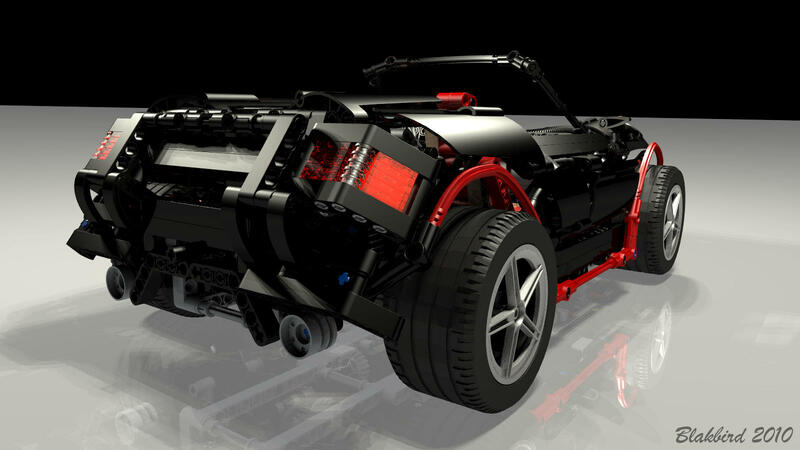 You may find a few other images from John's BS folder, inclusive some renders with the chassis building steps. For the case you want to build this model, Blakbird may share his CAD model from the Black Dragon, if this is also the will of Jovel. I've uploaded the LDraw file to my Brickshelf folder. It is tricky to build from the CAD file, but it can be done. That's how I built my copy. This is an amazing model. 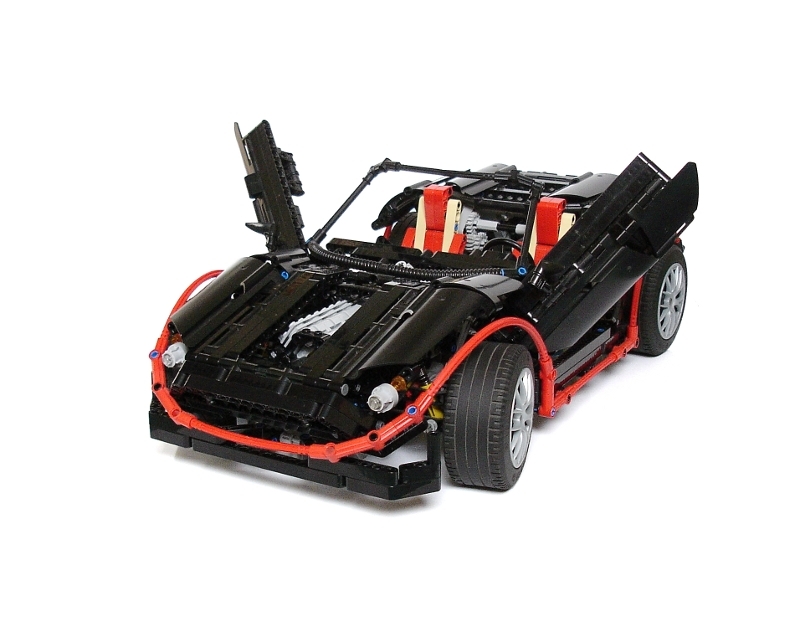 I've built a lot of LEGO cars, and this one is totally different. Model is ok. Be much better to upgrade from old style transmission changeover and seats. Wheelbase seem very short like Volkswagon Beetle. Moving rooftop is great!